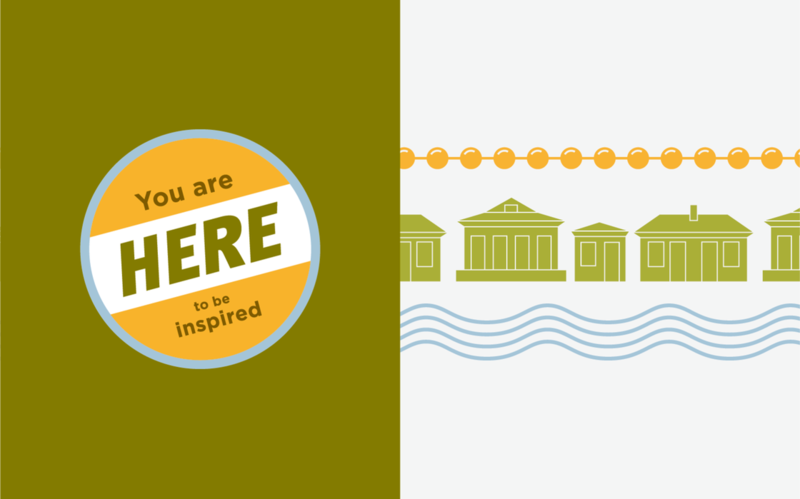 After a successful identity evolution, Southpaw Creative teamed up with the Urban Conservancy to create a small identity system for UC’s annual You Are Here event. 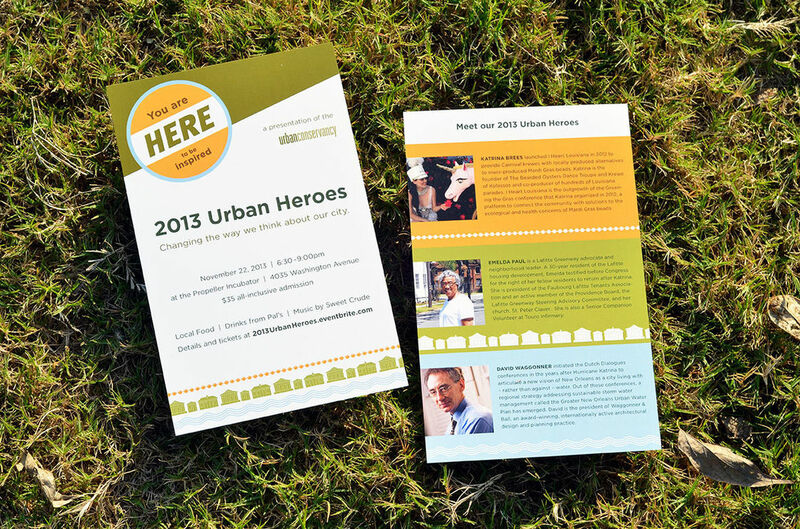 The event honors local “Urban Heroes,” community members who are committed to the UC’s mission of preserving the urban fabric of New Orleans. Starting from the UC color palette, we developed a unique identity for the event that featured a logo badge and set of icon patterns that corresponded to each of the three “Urban Hero” recipients: beads representing Katrina Brees’ locally-produced bead company, I Heart Louisiana; a row of shotgun houses representing Emelda Paul’s unwavering efforts with the Lafitte neighborhood and housing projects; and water representing David Waggonner’s contributions to the Greater New Orleans Urban Water Plan. After creating the identity, we saved on printing costs (and paper) by combining the promo flyer and event program designs. Finally, for the night of the event we had a banner and sponsor board to round out the campaign. 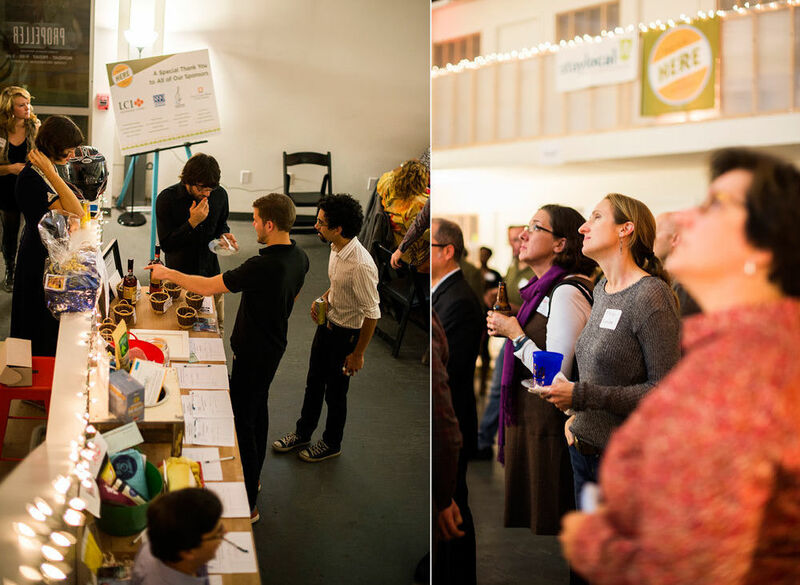 Overall, a fun project and a great evening for the Urban Conservancy.